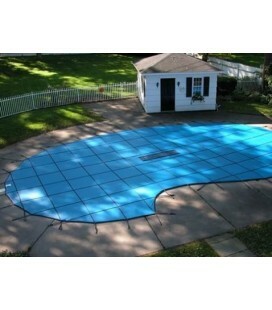 GLI 16X32 ProMesh SAFETY COVER INGROUND SWIMMING POOLThe new mesh safety cover material gives you solid cover benefits without the added weight. ProMesh offers stronger springs and tighter covers. ProMesh covers come standard with commercial grade springs on Custom Covers.ProMesh swimming pool safety covers are available in blue, green, tan and gray.